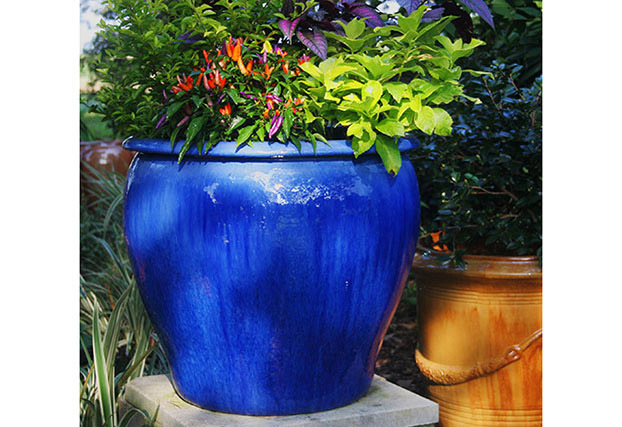 If you’re looking for dramatic, well-priced, well-made pots, look no further. Our handcrafted Vietnamese and Italian pots range from classic to contemporary, in a vast array of finishes. Long firing in wood kilns produces exceptionally strong pots that withstand freezing. Whether you’re looking for a particular architectural style, color palette, size or shape, our knowledgeable staff will be pleased to assist you. Most orders ship from the large inventory we maintain in our Louisiana warehouse, so delivery is fast. Please visit us at our Welsh, LA headquarters or at our AmericasMart showroom (Building 2, West Wing, 10th Floor, A28). 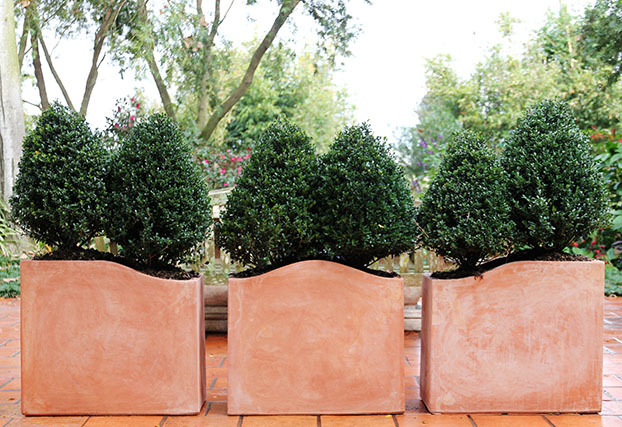 Italian terra cotta Cantado Box planters make ideal dividers or screens. Our Oyster White glaze ranks among our most popular finishes ever. 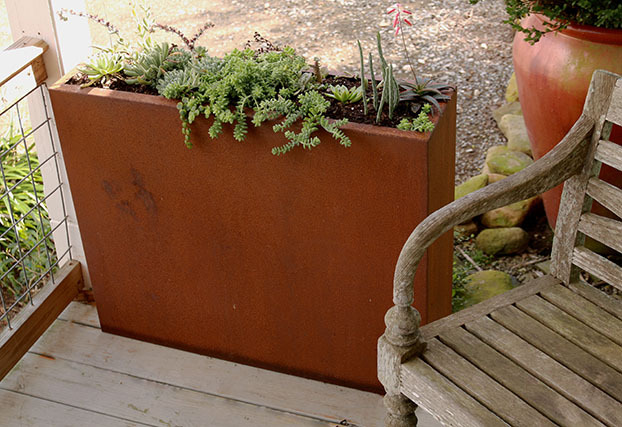 This 29.5” high Tall Trough is made of rugged rust-proof steel. Wide-mouthed Art Deco Kroton Bowl glazed in soothing organic tones. The big, bold Tree Planter showcases large plants. Available in 8 finishes. 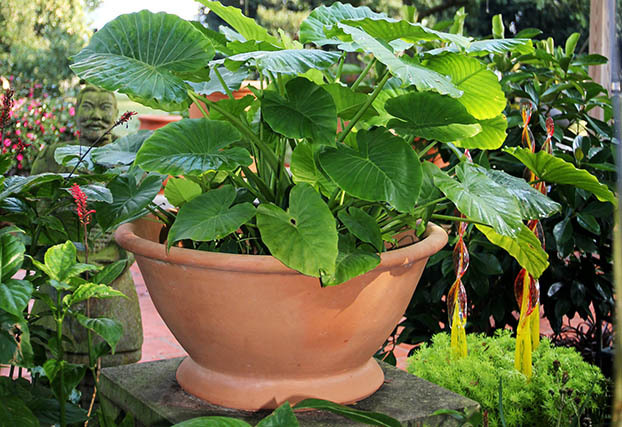 Strong Vietnamese clay gives the Coleton Planter remarkable durability. Clean and contemporary, our Tall Taper Round pots in popular Pebble White. 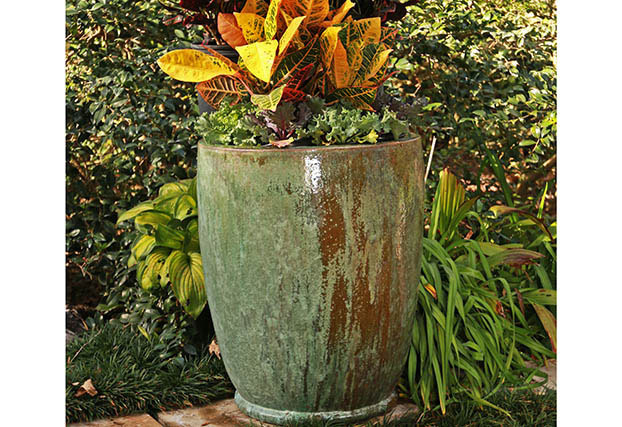 Our most dramatic urn, Shangri La stands 36” tall and withstands the elements. 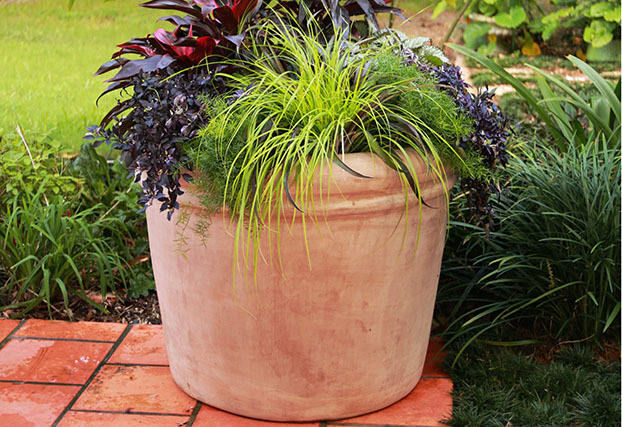 Classic Italian terra cotta Ribbed Bucket Planter, available in 3 sizes. 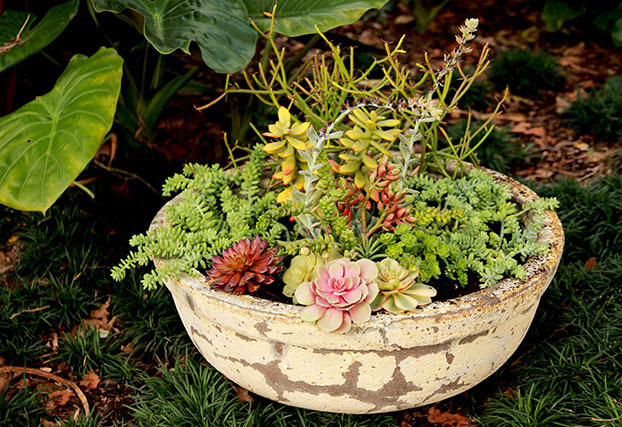 The wide, shallow Succulent Bowl showcases dish gardens with flair. 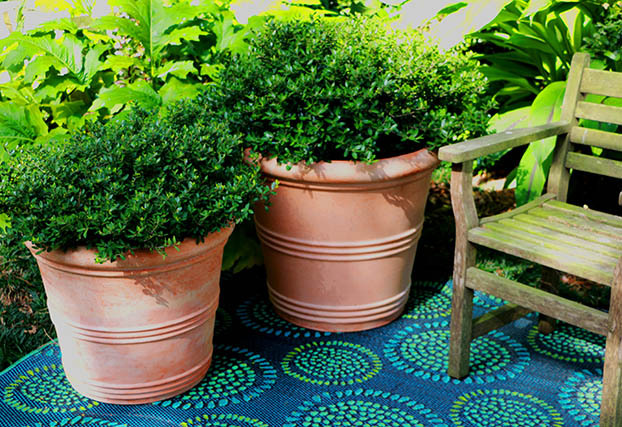 Widemouth terra cotta Footed Italian Planter, available in 3 sizes. 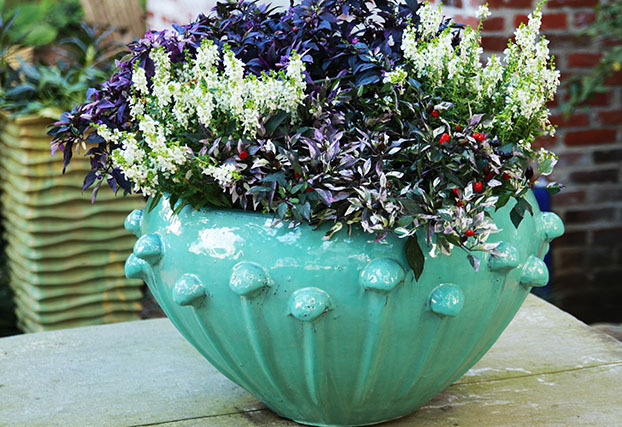 Footed Planter shown here in Malachite, one of our most popular finishes ever. 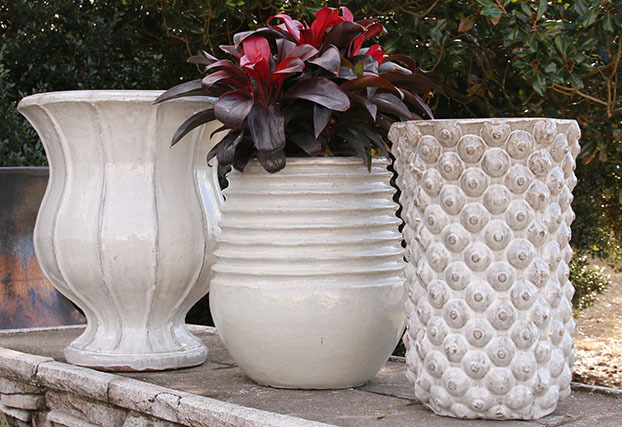 Planters, Vietnamese pottery, Glazed pottery, Terra cotta planters, Modern planters, Contemporary planters, Indoor planters, Outdoor planters, Frostproof planters, Frostproof pottery, Weather resistant planters, Planter feet, Pot feet, Bowl planters, Square planters, Round planters, Rectangular planters, Tapered planters, Restaurant planters, Hospitality planters, Italian terra cotta, Terra cotta pottery, Poolside planters, Garden ornaments, Rooftop planters, Unglazed pottery, Steel pottery, Handmade pottery, Contemporary pottery, Garden urns, Large planters, Concrete pottery, Concrete planters. Madison Avenue Bench, Boulevard Urn, Boulevard Bowl, Felix Berlin Planter, Felix Collection, Kor-ten Steel Collection and more. 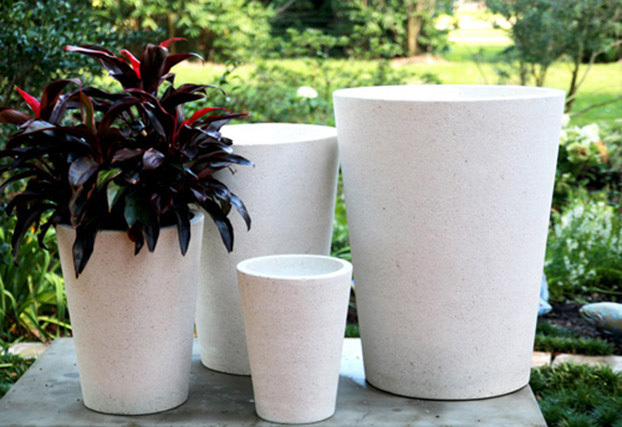 Our Anthracite and Chalk White Lite Concrete pots are made with a hemp fiber rather than synthetic fiberglass to produce a green fibercement product.